I truly believe that in the next 5-10 years, scientists, biologists and medical professionals will know a lot more truth about the gut biome, gut bacteria in diabetics and gluten and other intolerances. For now, there are lots of articles and most traditional medical professionals roll their eyes (yes, they really do … I saw them!!!) if you mention gluten, gut biome, leaky gut. lyme’s disease and more. I often remind them that doctors, for the very longest time, believed ulcers were caused by spicy food! While “they” believe there isn’t just a single cause for ulcers, “they” do know ulcers come from an imbalance between digestive fluids in the stomach and duodenum. Most ulcers develop because of an infection in the lining of the small intestine with a type of bacteria called Helicobacter pylori (H. pylori). The treatment is a course of antibiotics … but that would have been pooh-poohed before 1982! and Molecular Gastroenterology and Hepatology, June 2017. The study shows the Type 2 diabetes is linked to gut bacteria that invade the inner lining of the colon, while the dominant bacteria of most non-diabetics do not try to invade the inner lining of their colon. The types of bacteria that invade your colon lining are the ones that turn on your immunity to cause inflammation that prevents your cells from responding to insulin. Accumulating evidence shows that avoiding the foods that foster the growth of colon-invading bacteria helps to both prevent and treat diabetes. These studies help to explain why you may be able to both help to prevent (Type 2) and manage (type 1 and type 2) diabetes by restricting red and processed meat, sugared drinks including fruit juices, sugar-added foods and fried foods; and eating lots of fruits, vegetables, whole grains, beans, seeds and nuts. People with Type 1 diabetes exhibit inflammation in the digestive tract and gut bacteria¬ — a pattern that differs from individuals who do not have diabetes or those who have celiac disease, according to a new study published in the Endocrine Society’s Journal of Clinical Endocrinology & Metabolism, January 2017. Let’s discuss GLUTEN. 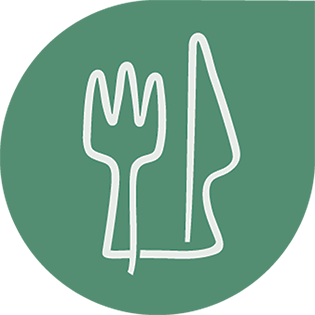 If you have been diagnosed, by lab tests or endoscopic biopsy, with celiac disease, you absolutely must not eat foods with gluten or even foods exposed to cross-contamination with gluten. But what about those of us who may be Gluten Intolerant. Who Really Needs to be Gluten-Free was published in the New York Times health section, by Jane Brody, 19 June 2017. Many people say they feel better after adopting a diet free of gluten, a protein found in wheat, barley and rye, even though relatively few gluten avoiders have been given diagnoses of celiac disease, an autoimmune condition that can attack the intestines and other tissues when gluten is consumed. Approximately one person in 140 is known to have celiac disease, which can remain silent for decades and become apparent at any age. The true incidence may be a lot higher. Other than celiac, reasons a person’s health might be improved by avoiding gluten include a sensitivity to gluten or something else in wheat (the major source of gluten in Western diets). Gluten sensitivity does not cause the intestinal and other organ damage wrought by celiac disease, although people with it tend to experience an array of symptoms. 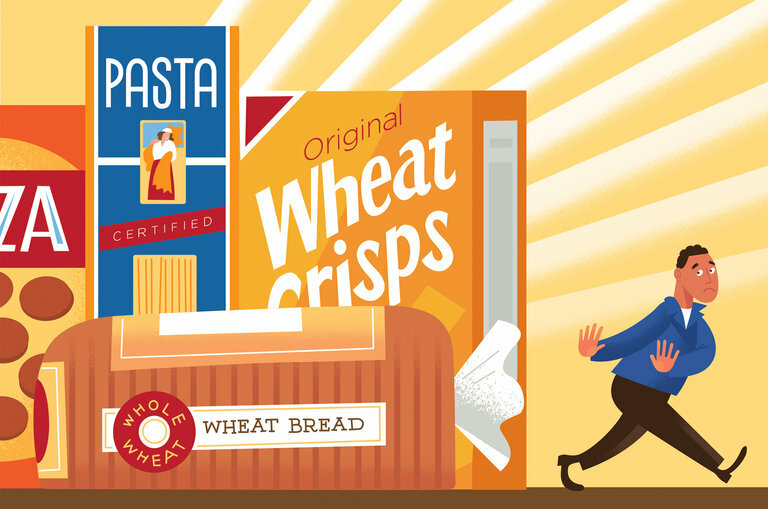 Read more: Who Really Needs to Be Gluten-Free? 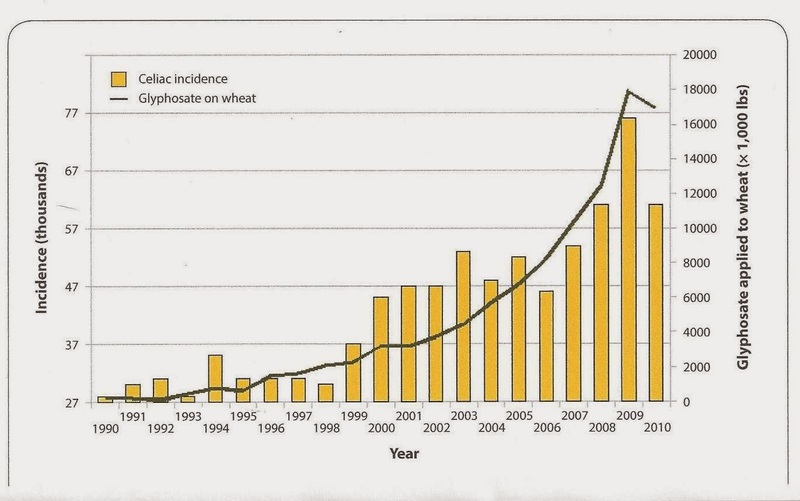 Gluten Intolerance is really GLYPHOSATE POISONING, as reported in 2014 on Granny Good Food. Gluten has been in wheat since it was first grown. Sure, there have always been folks who have problems digesting wheat or grains with gluten. Today, about 50% of the world have problems with gluten. Something has changed. That “something” may be glyphosate. Glyphosate has only been on this planet since Monsanto patented it as “Roundup” in 1973. This chemical herbicide goes by 32 or more tradenames and, now that the patent protection expired in 2000, is made by nine chemical companies — most of whom, not coincidentally, are also in the drug business. Over 200 million pounds of it is used all over the world every year. That’s 100,000 tons! Roundup brings in half of Monsanto’s yearly profits. Like vaccines, each manufacturer can add its own extra ingredients called adjuvants or surfactants. Some data suggests that the adjuvants are even more toxic than the glyphosate. A Downside of Gluten Free was published again in the New York Times by Nicholas Bakalar, 16 February, 2017. A gluten-free diet may have a downside: increased blood levels of arsenic and mercury, according to a preliminary report, in Epidemiology, The Unintended C onsequences of a Gluten-free Diet, May 2017. Researchers analyzed data on 7,471 participants in a larger national health study, of whom 73 reported being on a gluten-free diet. Concentrations of urinary arsenic in those on the diet were nearly twice as high as in those not on it. Blood levels of inorganic mercury were also significantly higher in gluten-free dieters. One possible culprit? Rice, which can absorb metals from water and soil.